Children have been making the journey to Australia from Indonesia by boat, only to be met with continued hardships. 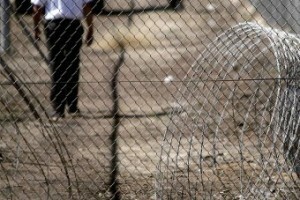 They are sent to detention centers, no matter how young they are or if they are unaccompanied. The Australian detention centers on Manus Island and Nauru Island each can house approximately 1,500 people, who are detained there for 445 days, on average. 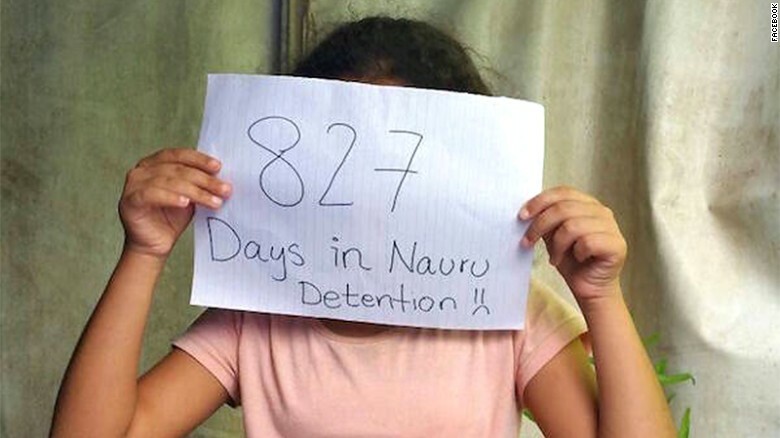 Some children have been living in Nauru for three years, in terrible conditions that are unsuitable and dangerous. The centers have been “a state-sanctioned form of child abuse,” by Brian Owler, the Australian Medical Association president. It’s hard to get details and aid to these children, due to the secrecy surrounding these centers. The government has forbidden any journalists from the detention centers and forbids those working in the detention centers from releasing any information. But what we do know about the situation is horrifying. A report from the Australian Human Rights Commission has documented some of the trauma experienced by these kids, including multiple attempted suicides. The debate over the children being sent to Nauru has been brought to a head by the story of Baby Asha. After suffering serious burns at Nauru, the infant was removed to receive necessary medical care. The doctors overseeing the baby at the Lady Cilento Children’s Hospital have been refusing to release Asha, as the Australian Immigration Minister Peter Dutton says that the baby will be sent back to a detention center. In addition to Asha, hundreds more, including children, are set to be deported to the camps on Nauru and Manus Island. 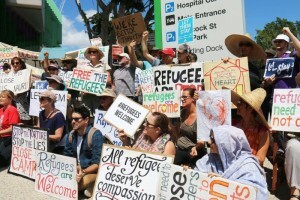 Dutton has said that these 267 people awaiting deportation will be sent to the detention centers or back to their countries of origin, even though New Zealand has offered to take in at least 150 asylum-seekers. People around the world have been moved to action to protect these refugees. 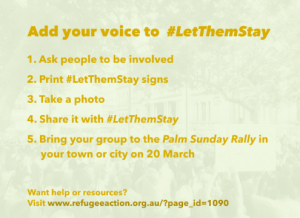 Whether on the streets protesting or taking to social media with the hashtag #LetThemStay, people have been raising their voices, on behalf of asylum seekers. There is another large protest scheduled for March 20th in Sydney, which will hopefully have a political impact to help these people. Organizations like the Refugee Action Coalition Sydney (hyperlink to http://www.refugeeaction.org.au/?page_id=1090) the Refugee Council of Austrial (hyperlink to http://www.refugeecouncil.org.au/get-involved/volunteering/) and the Refugee Action Collective (hyperlink to http://www.rac-qld.org/#!get-involved/cxz1) offer resources and information for those who want to get involved. 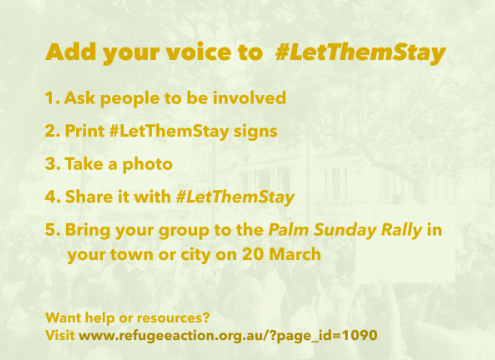 Whether you volunteer or bring attention to the issue via social media, you can show your solidarity with these asylum-seekers.